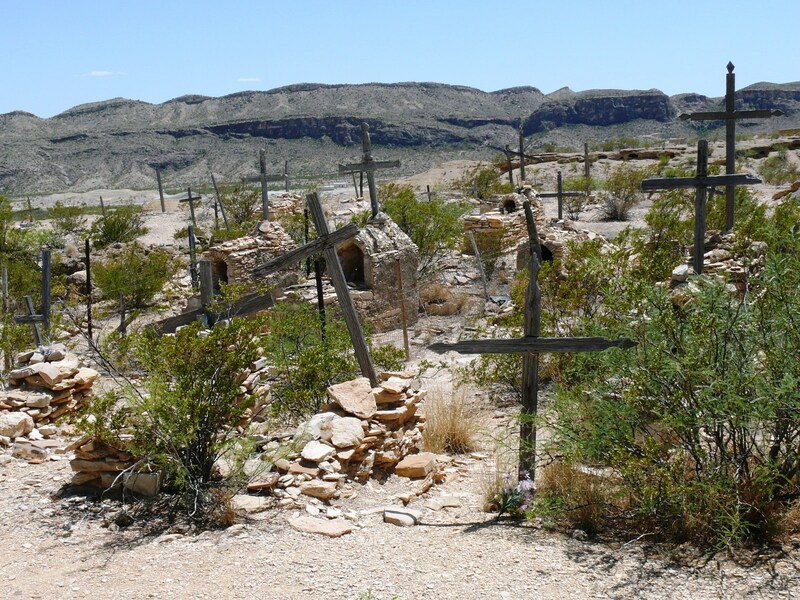 Located in far west Texas, past Big Bend National Park, you will find the ghost town of Terlingua. Because of its remoteness White settlers left the area to the indigenous Indians. These natives had discovered cinnabar here and used it for body paint. Cinnabar is the mineral from which mercury is produced. In the early 1880s prospectors ventured here and discovered the cinnabar deposits. However, they quickly departed the region because of its remoteness and the hostility of the Indian tribes. By 1888 a mini mining boom began and the first mercury was being produced. 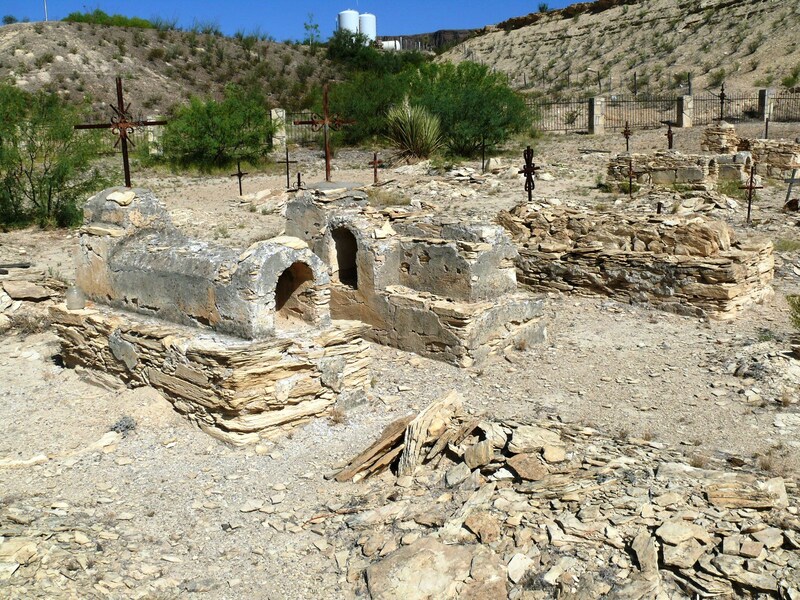 In 1900 there were four mining companies operating in what they began calling Terlingua. During the 1920s 40% of the U. S. production of mercury came from the mines here. By that time the population reached 2,000. Output began declining in the 1930s. In 1942 Howard Perry’s Chisos Mining Company, the last of the four original operators, filed for bankruptcy and closed its mines. 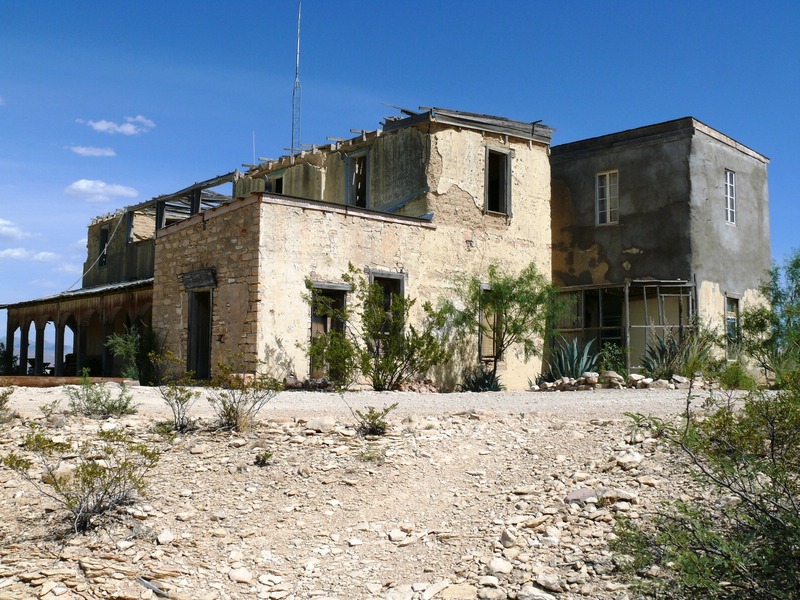 Following World War II Terlingua was virtually abandoned. It was rediscovered in the 1960s when chili king, Wick Fowler and friends, began the now famous Chili Cook Off. 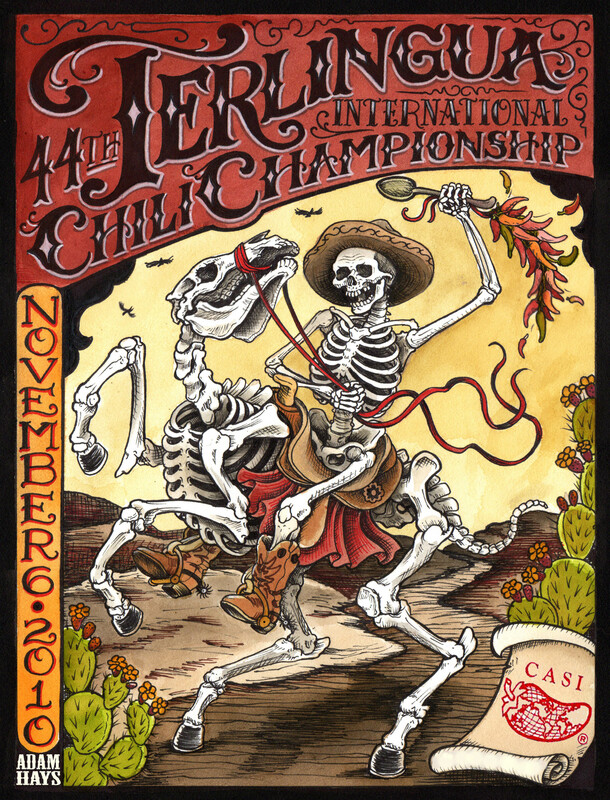 In 1967 the town was named the “Chili Capitol of the World.” Similar to the mythical Irish town of Brigadoon that appears every 100 years, on the first Saturday of November Terlingua’s population soars to over 10,000 people as “chiliheads” descend on the old ghost town, returning it to life for a short while. 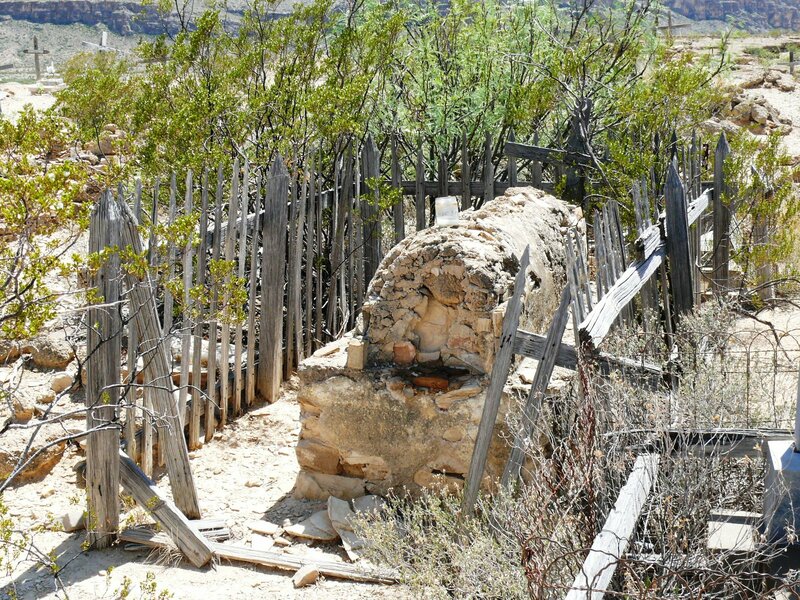 The century old cemetery is a typical frontier graveyard. Most of the souls interred here are mercury miners. 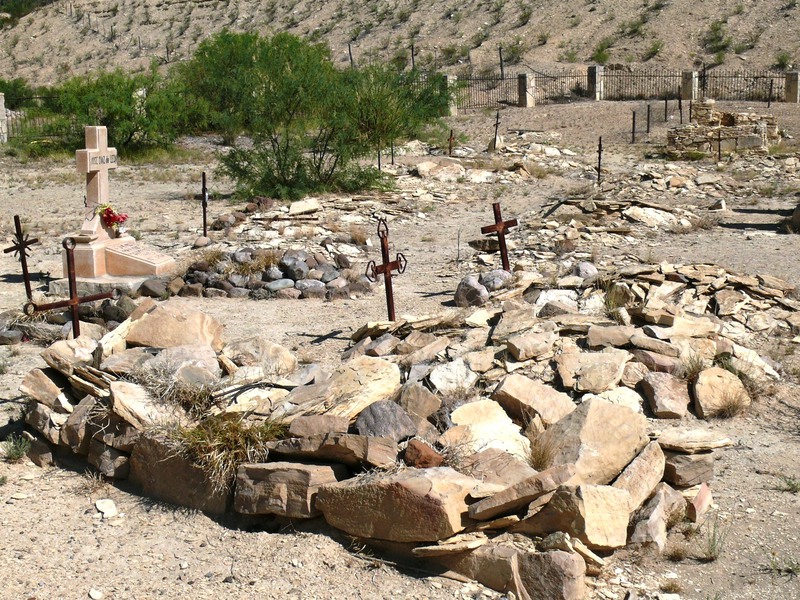 Terlingua celebrates Dia de Los Muertos every November 2. 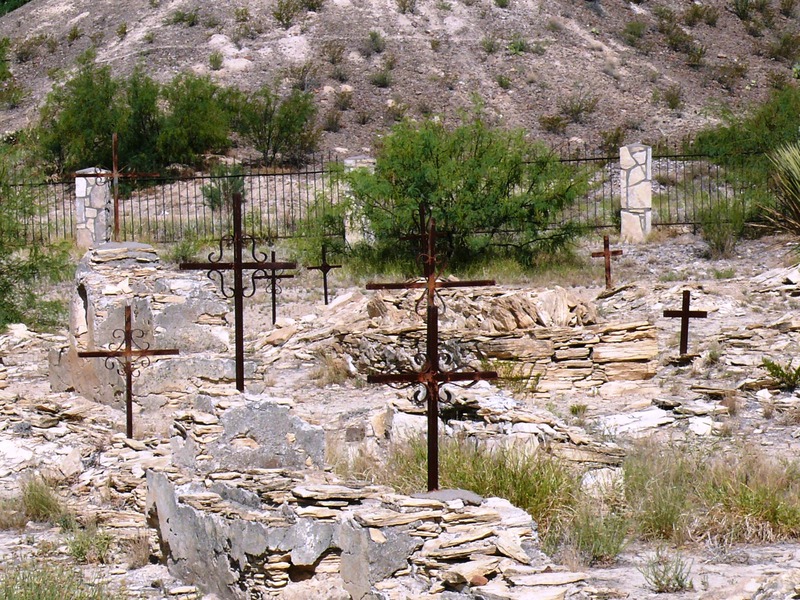 We found the homemade graves very interesting and wanted to share them with you. As an aside, in 2012 the Texas State Historical Association began putting Texas towns up for adoption. Barbara and Marks immediately adopted Terlingua. The adoption papers came in the form of a certificate we proudly display in our office. 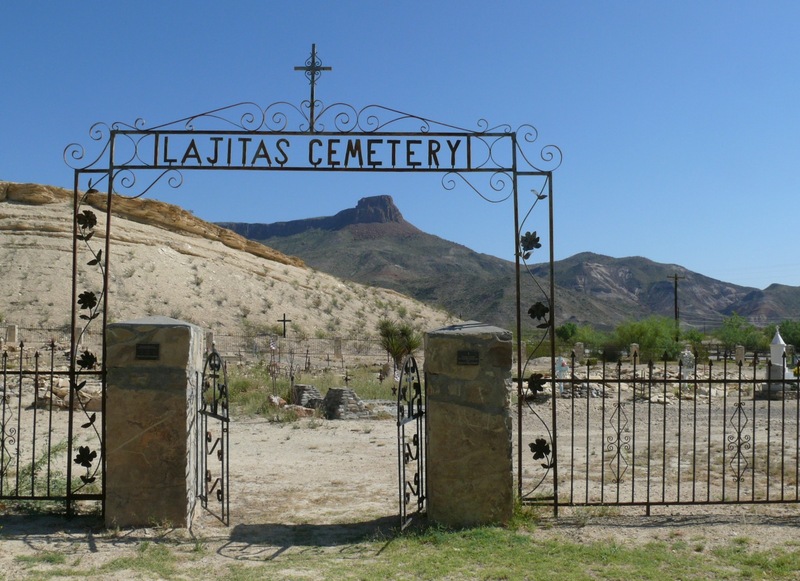 The small community of Lajitas is located west of Terlingua in the northern part of the Chihuahuan Desert, overlooking the Rio Grande River. 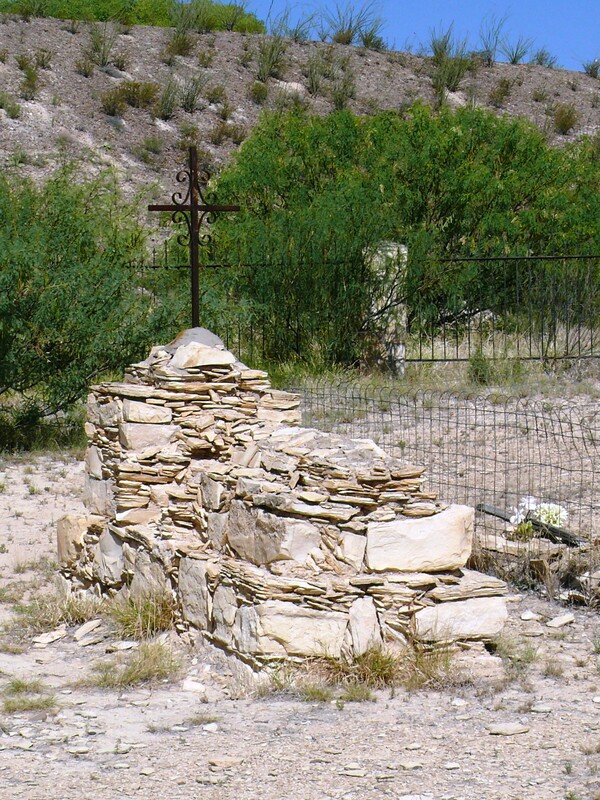 Lajitas means “little flat rocks” referring to the Boquillas flagstone found in the region. 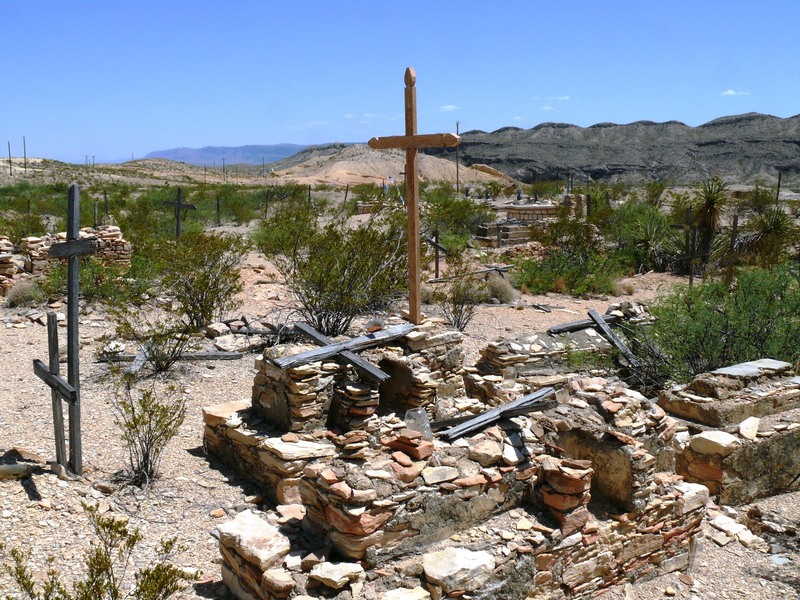 For centuries the area was inhabited by Mexican Indian tribes. But in the 18th and 19th centuries these indigenous people were driven out of the area. First it was by the Apache and then the Comanche. Anglos migrated to the region in the 1850s. 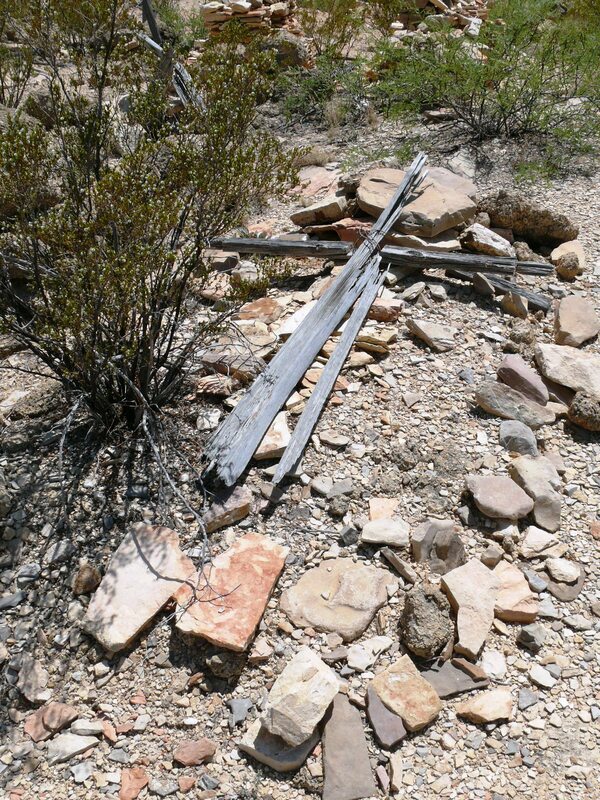 The discovery of cinnabar in nearby Terlingua caused a population surge in late 1800s and early 1900s as miners poured in to work the mercury mines. General John J. 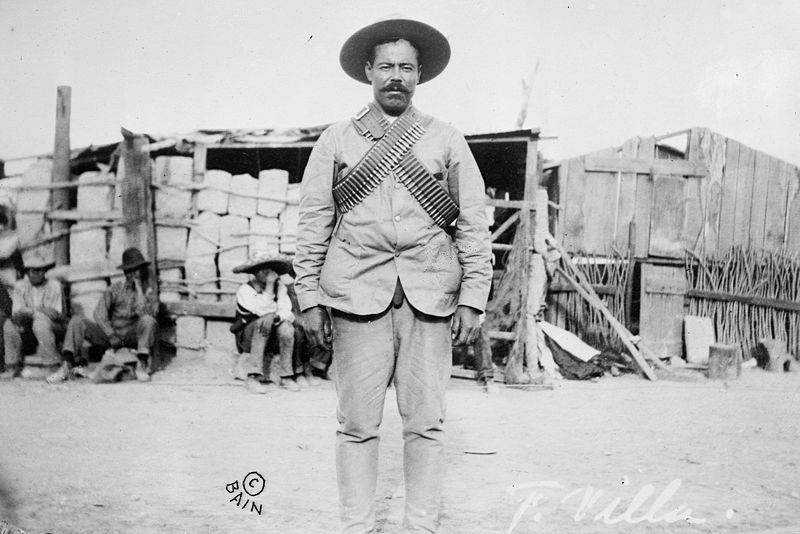 “Blackjack” Pershing established a large cavalry post here during the Mexican Revolution (1910-1920) after Poncho Villa raided Columbus, New Mexico in 1916. 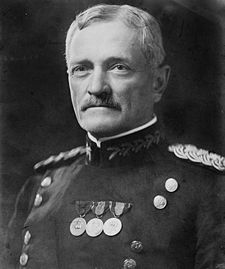 Pershing spent the next several years unsuccessfully pursuing Villa around northern Mexico. In the 1940s T. V. Skaggs started the Lajitas Wax Factory. 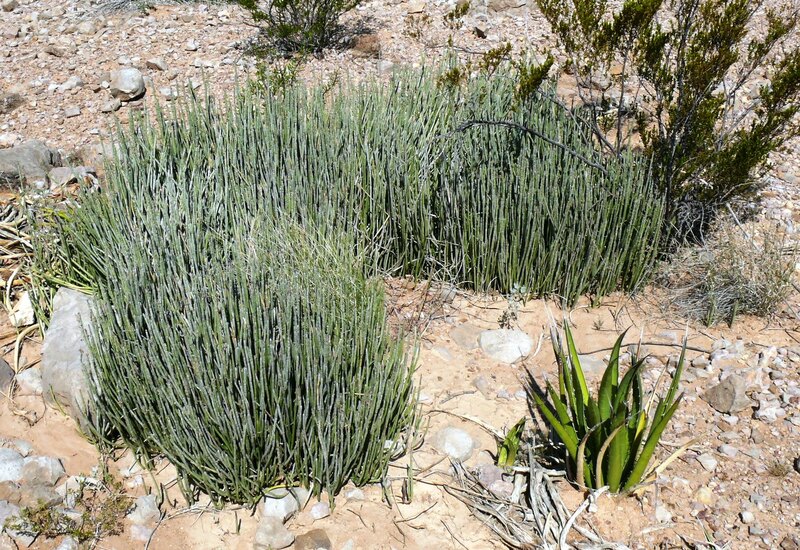 It produced wax from the candelilla shrub that is indigenous to the region. The company eventually ceased operation. Today this sleepy village (population ca. 100) is a minor resort destination for golfers. 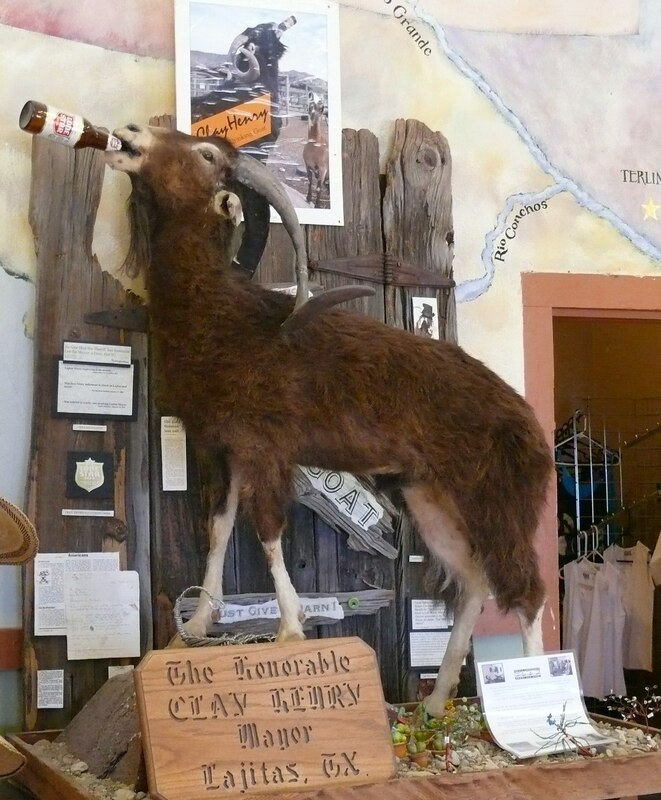 One of the more interesting elections to take place in America was in Terlingua and Lajitas when Clay Henry, a beer guzzling goat (only Lone Star Beer), was elected Mayor. 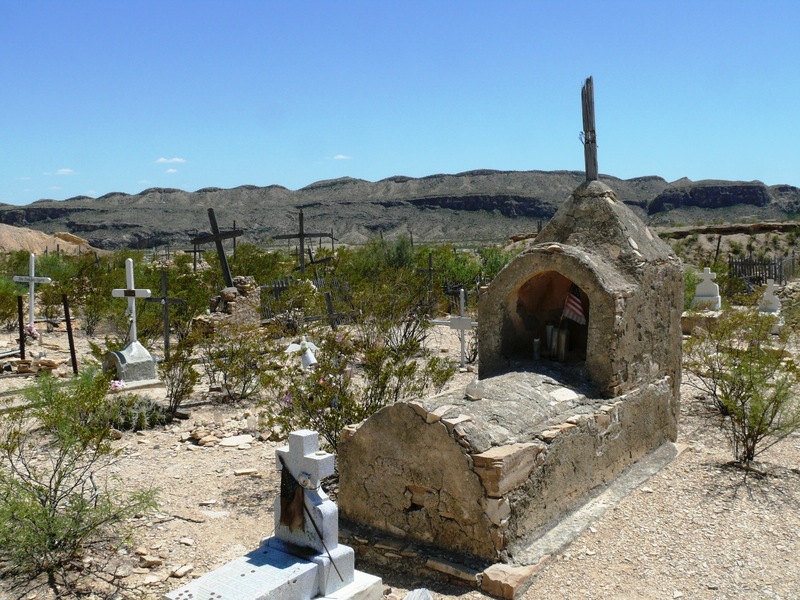 His stuffed remains are on display in the Terlingua Trading Company drinking a Lone Star Longneck. The small cemetery also had some interesting old graves. 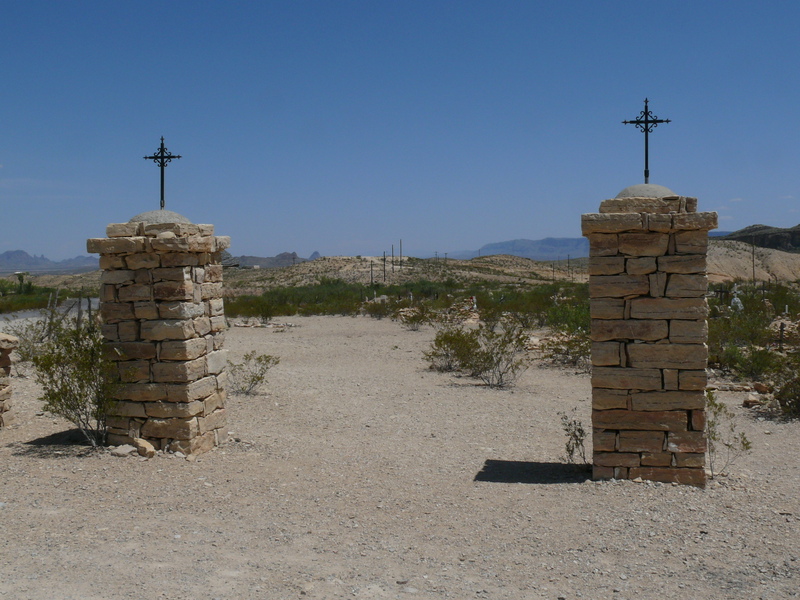 Unlike Terlingua it has a lynchgate, an arched entrance where in the old days the burial rites began (see the photo above). The lynchgate and fence, along with the metal crosses were added in 1991 due to the efforts of Elle Webb.